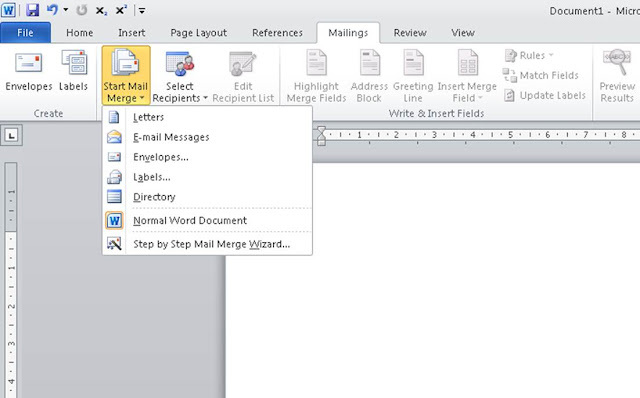 I am going to teach you in a very simple and clear way how to use the MailMerge feature in Microsoft Word. Mail Merge is a feature in Microsoft Office that allows you to automatically generate several similar documents using a list of related data. 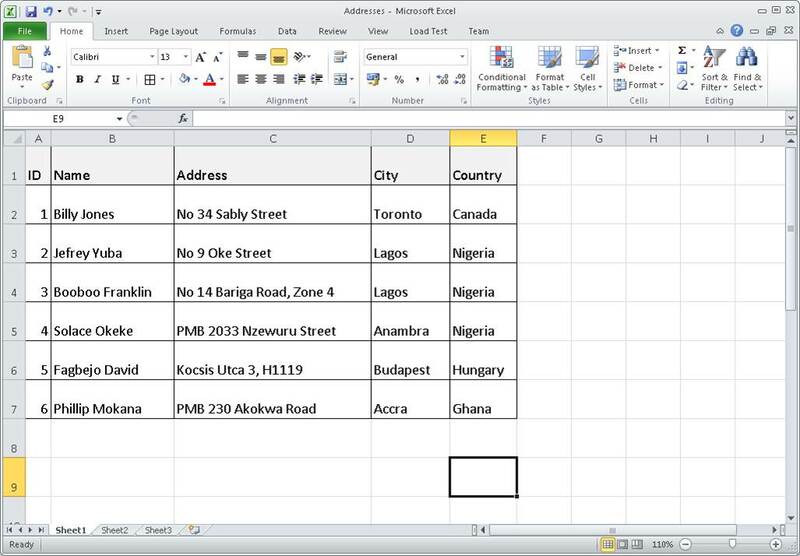 What this means is that, you could create several envelopes or letters using list of address stored in a spreadsheet. 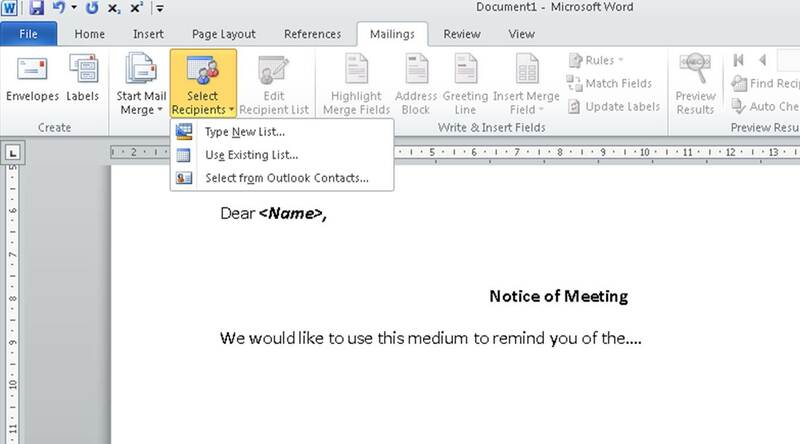 So if you have a list of 1000 employees and the same document needs to be sent to all of them, then the only thing that needs to be changing is the name and address. 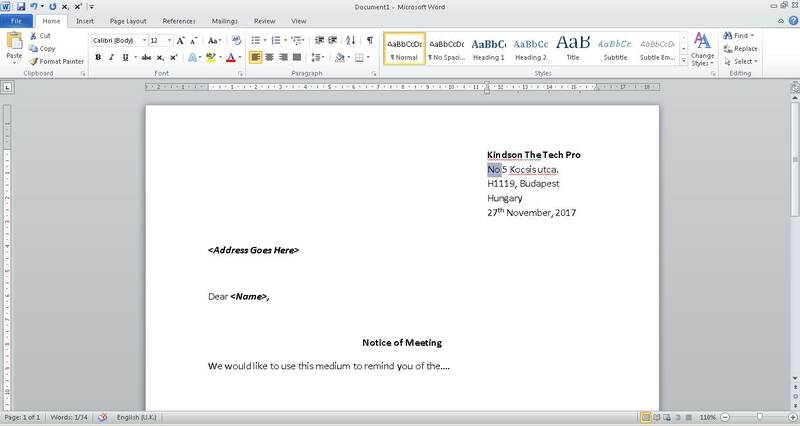 For this, you can create a single document and then use mail merge to generated the rest, each having a different address based on data in excel sheet. 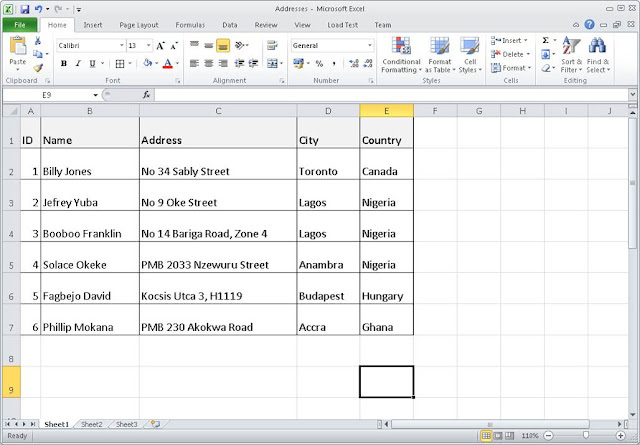 The address section and name is what we want to generate using the excel file we saved. So we are going to replace this fields using the name and addressed in the excel sheet. So move on to step 4. Now you need to insert data from the excel file into your document. Step 10: Delete the <Name> placeholder following the word Dear. Place your cursor in that position. Let’s now preview the document to see what we have achieved. Step 12: Click on “Preview Results” as shown in the picture and observe the result. You will notice that the placeholder is replaced by actual name. Use the navigation buttons close to the Preview button to move back and forth.